Copyright means an exclusive right granted to the authors or creators of “original works” fixed in a tangible form. It is the sole legal right to print, publish, perform film, record a literally; artistic or musical work. Copyright does not protect ideas which have not been reduced to material form. Which Law governs copyright in Tanzania? 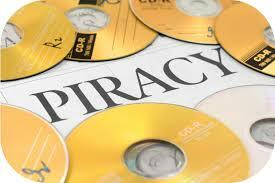 Copyright is governed by the Copyright and Neighbouring Rights Act No 7 of 1999 (CAP 218 RE 2002). What is the extent of application of the Copyright Act? 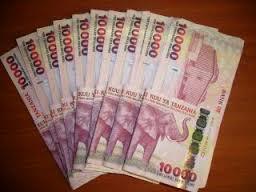 The Act applies to national works from Tanzania Mainland and Foreign Works as per section 3(6) (a) of Act No.7 of 1999 (National Treatment principle) and Regulation 15 of the Copyright and Neighbouring Rights (Production and Distribution of Sound and Audiovisual Recordings) G.N.No 18 of 2006. These are secondary rights of copyright which performers, producers and broadcasters are entitled to. Section 31 to Section 35 of Act No. 7 of 1999 provide for the neighbouring rights. Which works does copyright subsists? books, pamphlets and other writings, including Computer programs. lectures, addresses, Sermons and works of the same nature. musical works (vocal and instrumental), whether or not they include accompanying. choreographic works and pantomimes; cinematographer works, and other audio-visual works. works of drawing, painting, architecture, sculpture, engraving, lithography and tapestry. photographic works including works expressed by processes analogous to photography. In Tanzania copyright lasts for the lifetime of the author and fifty years after the death of the author. What does Copyright afford the owner? What is Economic Rights of Authors? What are Moral Rights of Authors? These are the paternity rights (to claim authorship) and to prevent any derogation, mutilation of the work. 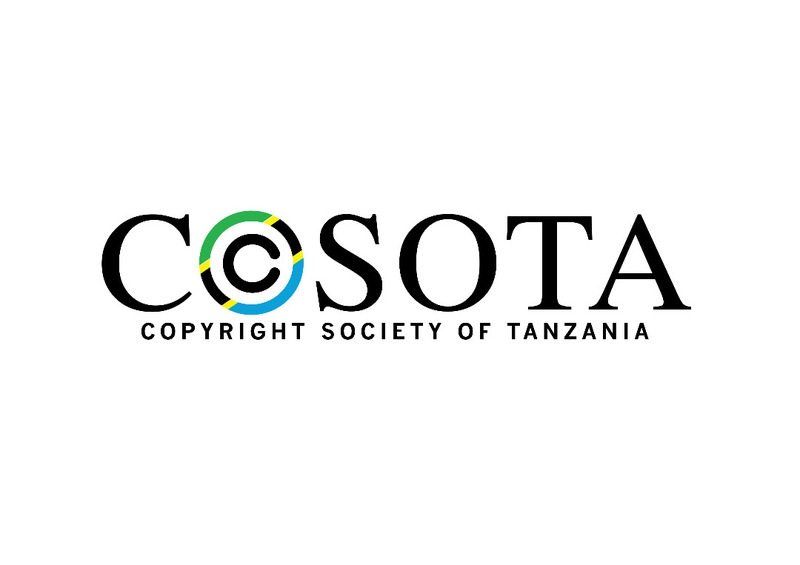 What is Copyright Society of Tanzania (COSOTA)? COSOTA is an organization formed under Section 46 of Act No. 7 of 1999 it has a dual system to be the copyright office and at the same time to be a collective management organisation. COSOTA’s main functions is to promote, protect the interest of authors, performers, translators, producers of sound recordings, broadcasters, publishers among others. COSOTA is authorized to issue licenses to the users of copyrighted works for public performance, broadcasting, reproduction and rental rights among others. COSOTA registers members (authors, publishers, producers, distributors, composers etc) and their works. Why do I need a license from COSOTA? Copyrighted works is like any property you may own (land, house, car, mobile phones etc). Just like you need the authorization/ permission of the owner of a property to use her property you are equally required by law to seek permission/authorization of the owner of copyrighted works before you can use it. It is impracticable and near impossible for owners of copyright to monitor the various uses of their works and to license them adequately. It is also impracticable and near impossible for users of music to locate all owners of copyright and negotiate with them. COSOTA simplifies this complex process through the collective management of copyright that is why COSOTA licenses are needed otherwise businesses and facilities that use music in public or commercial space would have to negotiate with every individual songwriter, composer, performer and publisher across the country and beyond for every piece of music they intend to use the cost would be astronomical. If I do not use Tanzanian music, do I still have to get a COSOTA license? 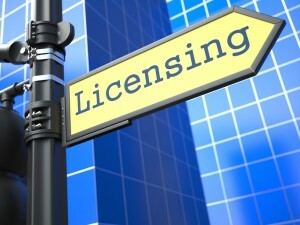 Yes, you need a license from COSOTA before you can use any music whether local or foreign. The principle of National Treatment for works protected by copyright as enshrined in the Berne Convention which Tanzania is a signatory to, COSOTA is obliged to treat foreign works the same way it treats national works. COSOTA is also a member of the International Confedaration of Societies of Authors and Composers (CISAC) which has rules on the treatment of the authors and composers. Why should you pay royalties? When a person uses a copyrighted work he/she must pay royalties to the artist so that the artist could benefit from his/her creativity (equitable remuneration). Who is to pay royalties? All users/ establishment which use copyrighted works are supposed to pay for example: Hotel, Bar, Motel, Guest-House/lodge, Restaurants, Grocery, Supermarket, Shops/store, MCs/DJs, Nightclubs, Discotheque, Entertainment Hall, Functional Hall, Saloon, Barbershop, Gymnasium, Bus, Ship, and Train, Tax, Car hire Operator, Aeroplane, Advertising agency, Telephone Companies, broadcasting stations among others. The license costs me money and earns me nothing? The license fee is a sum paid to authors for the use of their works, protected by legislation on copyright. It represents the cost for public use of their works in the context of the users commercial activity. It enables licensee to avoid having to pay each author individually. Music activity is secondary to my business. Why should I have to pay a license? This is why the cost of the license is adapted to each user according to the contribution of music to their activity and the way it is used. For example: a musical radio station pay a higher fee than one that is dedicated to sports; using background music in a shop is less costly than when music is a key element in a business as in a discotheque. My employee is using radio in the workplace, not me. Why should I pay for that? As the owner of the business you are responsible for paying royalties for the public use of the works on premises. When music is used on your premises, it is your responsibility to ensure that the correct licenses are in place so that you and/ or any person working on your premises can use copyrighted music in public lawfully. My business is a private place. Why should I pay for “public” use of works? The distinction between public and private performance depends on the people who are present, not of the place where the music is played. A family is considered as a private audience; a business with employees is considered to be public. By broadcasting works I am promoting your members. Why should I pay a license then? Indeed you should pay me for promoting your members. COSOTA represents creators’ rights in general; we do not and cannot promote any particular creator. We simply collect royalties which are due for the works which you have used and distribute those royalties to the creators (right holders) of those works. The right holders works contribute in adding value to your business. It is for you to decide which works you want to use. I already signed a contract for the use of the works which contains a “copyright cleared clause”. Why should I pay additional fees? Yes, we understand that some works you may use are “copyright cleared” ones. However we have our own copyrighted works, as you are using these works you will require a license from us. Where do the license fees go? COSOTA distributes the royalties collected to the right holders of local and foreign works. COSOTA uses the WIPOCOS system for distribution of royalties collected. 70% is distributed to the right holders and 30% is for administrative costs. In the case of a work other than an audio visual work, there citation, playing dancing, acting or otherwise performance the work, or’ the expression of folklore, either directly or by means of any device I or process. In the case of an audio-visual work, tile showing of images in sequence and the making of accompanying sound audible. In the case of a sound recording, making the recording sounds audible, in each case at a place or places where persons outside the normal circles of the family and its closest acquaintances are or can be present, irrespective of whether they are or can be present at the same place and time, or at different places and times or both, and where the performance can be perceived without the need for communication to the public. What is communication to the public? This means the transmission by wire or without wire of the images or sound or both of a work, a performance, a sound recording or a broadcast, in such a way that the images or sounds can be perceived or accessed by persons outside the normal circle of a family at a time individually chosen by them. We have paid the performer to perform at our event. Why do we have to pay COSOTA? When the performer is paid to perform at an event, such payment is an appearance fee for his service as a performing artist at the said event but not for public performance of the musical work which may have been created by another person and published by an entity different from the performing artist. You will require a Performing Rights License from COSOTA for the public performance of the works. Performing rights are the rights to perform music in public. I already paid for the CD (or download). Why do I need a license from COSOTA? The purchase of an original CD or download of music from a legal and licensed site, gives you ownership of a copy of the work. You may play the CD or music in your home for your enjoyment and that of your family and friends. You may lend the copy to your friend but not for a fee. The moment you begin to play the music in a place open to the public or in a commercial environment you are going beyond the right of the owner of a copy and enjoying the right of a copyright owner. In order to avoid this infringement you need a license from COSOTA which allows the public performance of the music. I rent out my venue to event organizers. Who is responsible for paying the COSOTA license fee? Both the owner of the venue and the event organizer may be liable. As an owner or operator of an event centre using any form of music whether live or recorded, you are responsible for obtaining the appropriate copyright license from COSOTA by paying the required tariffs. The event organizer needs to make sure that the venue is fully licensed or she may be liable for copyright infringement. The event organizers are advised to contact COSOTA before the use of the music. I already paid for a commercial bouquet for cable reception in my place of business. Do I still need a license from COSOTA to receive DSTV music programming in rooms or other facilities within the establishment? Yes, you need a license from COSOTA. The payment of subscription to receive DSTV signals or any other cable signals is not the same as to communicate music and sound recordings in public or commercial environment. Such subscription only gives you the right to receive signals and not the right to publicly or commercially use the music. Do all performances in the workplace need to be licensed? What about personal stereos, mp3 players and audiovisual? We advice all businesses using music, audiovisual in the workplace in any way to contact COSOTA to discuss their requirement for an appropriate copyright license. I am an online music service provider; do I need to obtain COSOTA license? Yes, you need a license from COSOTA. Whether it is music downloading (Mechanical Rights License) or music streaming (Performing Right License). You may also be required to get the master recording rights from the owners. Online Music Service Providers are kindly advised to get in touch with COSOTA for appropriate license. What do you mean by Mechanical Right Licence and Performing Right License? Mechanical right is the reproduction right using a mechanical device like music boxes and later phonogram records (sound recordings). Mechanical royalties refer to royalties paid for the production of songs on CD, Audiocassette and other devices. A mechanical right license is also required for many digital uses like permanent downloads, limited downloads, on-demand streams, ringtones, ring backs among others. I was not aware of the requirement for a COSOTA license? It is the responsibility of the user of copyrighted works to understand and meet their copyright obligations. Broadcasting stations (television and radios), telephone companies, online music providers, juke box owners, night clubs, hotels, restaurants, bars, discotheques, salons, shops, groceries, taxis, bajaj, “bodaboda” buses, airlines and airport lounges, banks, cinema halls, supermarkets, universities, schools, colleges, educational institutions among others. What happens if I do not get a license from COSOTA? COSOTA takes all reasonable steps to ensure compliance, failure to obtain copyright license for the use of copyrighted works- music in public or commercial environment or broadcasting may result in legal action against you for copyright infringement and you may be liable to pay damages, costs, injunctions, accounts for profits among others. How do I apply for a license from COSOTA?